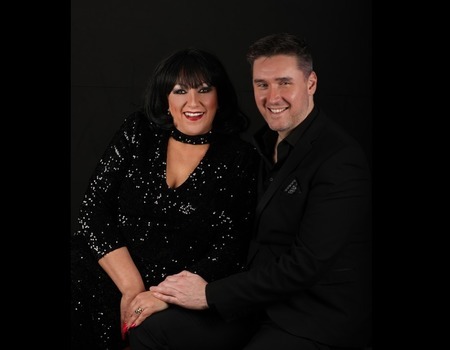 Cabaret stars Diane Horan-Hill and Phil Lee-Thomas, along with their band and special guests, explore their love of classic song, From Swing to Soul, hand-picked from the Great American Songbook, pop/soul standards, and favourites from the stage and screen, both old and new. Horan-Hill is a much-sought after singer on the London cabaret circuit, specialising in soul and jazz blues. Along with Lee-Thomas, she was a finalist in the London Gay Big Band's search for a star vocalist in 2014. As well as a renowned soloist, she is also one half of Heart & Soul with Miles Elliot, celebrating a shared love of soul classics from Motown to modern funk. Horan-Hill also appears on the 2017 Pride in London single, The Rest of Us, and the Cancer is a Drag charity single, Christmas Time With You, both alongside Lee-Thomas and a whole host of London cabaret stars. Lee-Thomas ("Performs with great panache, humour, and terrific audience response" - Harold Sanditen) is resident singer of Swingcopation Big Band. As an actor he has appeared as Doctor Alec Harvey in Knee High's Brief Encounter, as Joe Gillis in Sunset Boulevard and most recently in Wild Duck Theatre London's production of The Distance. He continues to develop his solo cabaret shows such as The Great Welsh Songbook and Too Marvellous For Words: The Johnny Mercer Songbook, which was premiered at Crazy Coqs in 2016.